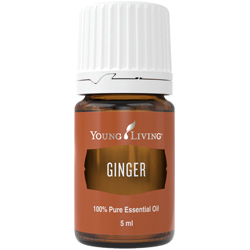 Ginger (Zingiber officinale) has a warm, spicy fragrance that is energizing. Supportive of the digestive system, ginger is commonly used to soothe and comfort. Ginger has an approximate ORAC of 992,571 (TE/L). TE/L is expressed as micromole Trolox equivalent per liter. For topical use. Do not use near fire, flame, heat or sparks. Dilution recommended for both topical use. Dilute before using on sensitive areas such as the face, neck, genital area, etc. Keep out of reach of children. Avoid using on infants and very small children.